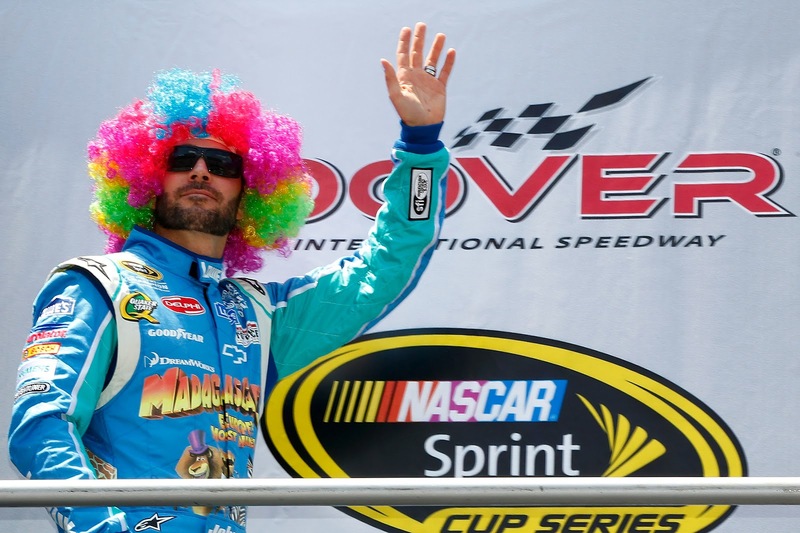 Jimmie Johnson won the Sprint Cup race at Dover in June in colorful fashion. The Sprint Cup Series and Nationwide Series converge on Dover International Speedway while the Camping World Truck Series heads for the bright lights of Las Vegas Motor Speedway. Dover hosts the third race of the Chase. The following is a schedule of track events and TV coverage this weekend at Dover and Las Vegas. All times are in Eastern Standard Time. Events without channel listed will not be televised. 3:30 p.m. NNS at Dover: OneMain Financial 200, ESPN. Green flag: 3:45 p.m.
8:30 p.m. NCWTS at Las vegas: Smith's 350 (tent. Name), SPEED. Green flag: 8:49 p.m.
2 p.m. NSCS at Dover: AAA 400, ESPN. Green flag: 2:15 p.m. Re-airs at midnight on ESPN2.